There is nothing worse than when you’re in the field and your ranging equipment fails to pick up a laser trace, and then returning the exact distance to a given targets surface. When this happens you’re almost shooting blind, you are not even able to find the target down range. Fixing the problem is as simple as investing money in a product that will for sure get the job done. 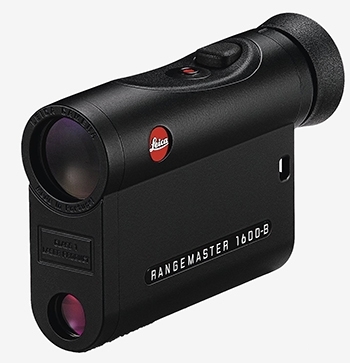 Be advised my fellow shooter, not all range finders are alike, they can be miles apart from each other in terms of performance. 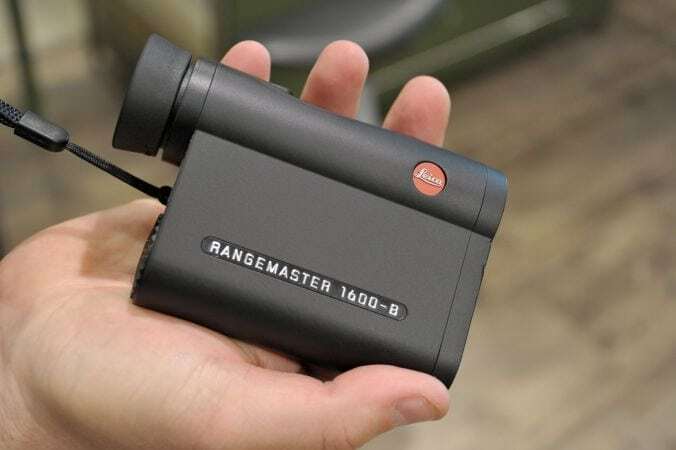 In this review I will separate them into categories to illustrate just how efficient they are, so a 100-yard unit will not end up in your hands when you need a range finder that will give you good information up to 500 yards or more. Like reviewing rifle scopes and spotting scopes, the same group of manufactures tend to build range finders as well. That means there will be a pattern here therefore starting with an outfit like Leica Optics is not at all off the mark. I use a Leica 2000 on a regular basis, and I have found it to be a dependable system providing I can get a clear bounce off a solid return object. Here lies the problem with all ranging systems – not just Leica. 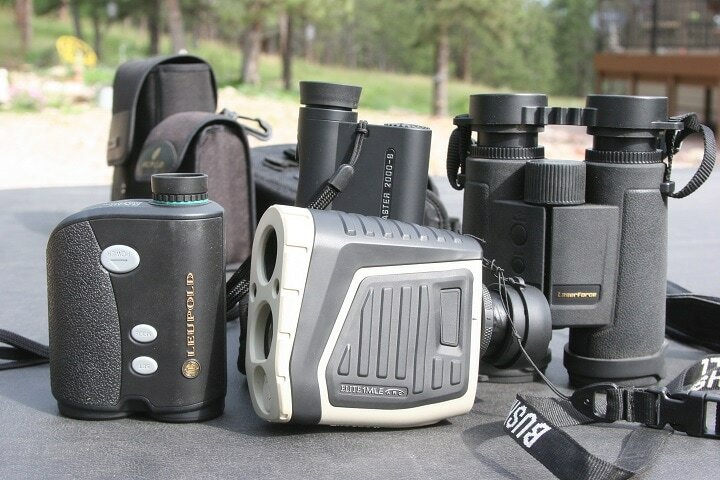 Range finders rely on laser systems that can be very different from one other. Power levels are varied and as such what will return a bounce and data register from one unit will not do as well in another even when advertise as both units having the same distance effectiveness. Leica as a compact unit offers hunters three ballistic output systems, an eye safe IR laser, and a ballistic computer with inclinometer. In other words, the unit will tell you how much to hold under a target that is down or uphill. The weather station is built into the unit as an on board digital display system. Complicated, but easy to understand by a shooter. Not Bluetooth or hand-held computer comparable; the Leica is its own complete system. Built in Germany. The price of Leica CRF 2000 varies, so check the latest price at Amazon. RangeMaster 2000 on the bench at work for down range data and performance work. With a good ‘bounce’ return this unit is good up to 2,000 yards. Larger dark or white objects for the best ranging effect. 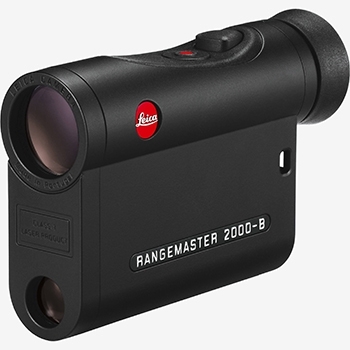 The Leica 1600 as offered retains programmed drop ballistics to 880 yards at the point of being used as a range finder. The advanced ballistic compensation system returns MOA (Minute Of Angle) and MilRad units as well. This is close to military language in the ‘ranging’ world today. High quality materials and German manufacturing means top of the line for a compact ranging system all the way. 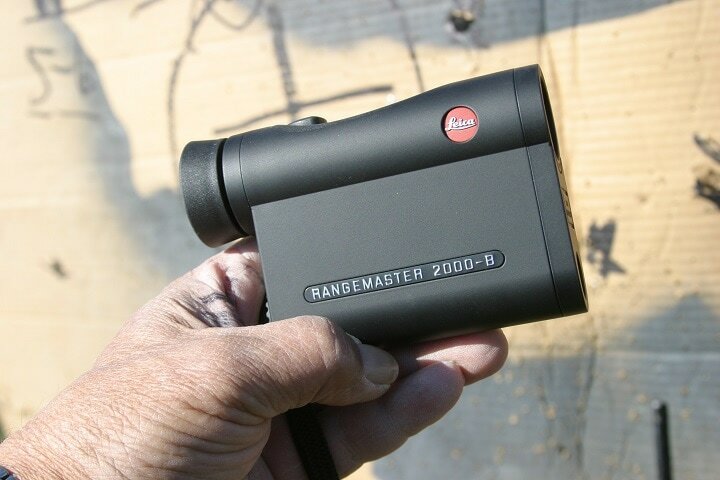 ​This is a solid medium-priced unit, and a great buy for the hunter or long-range shooter. The price of Leica CRF 1600-B varies, so check the latest price at Amazon. 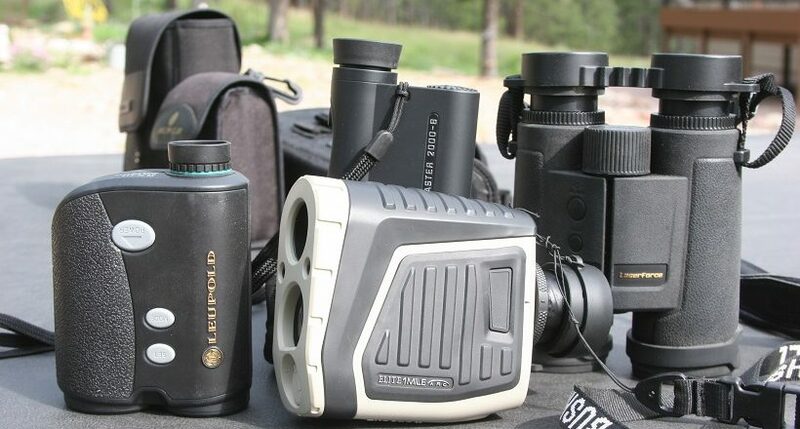 With very high-quality optics and materials this is one of the best products in the business, designed for pros or very serious hunters and long-range shooters. This unit will find and range a target up to 1,200 yards making it a better hunter system, but still in the game for shooters working with cartridges inside 1,500 yards. 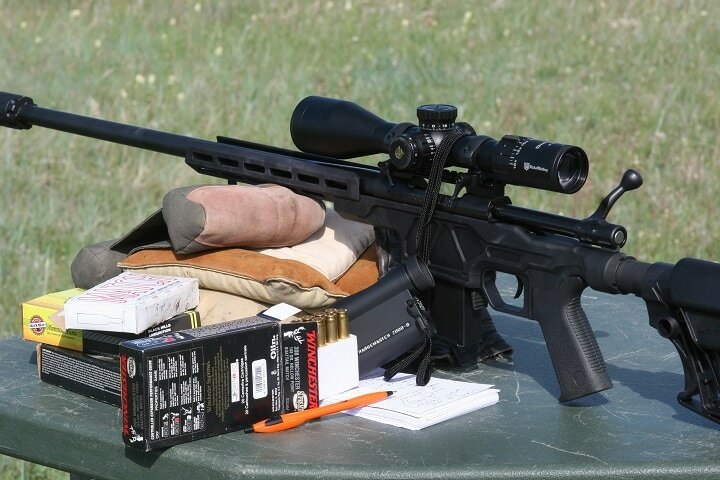 I used this unit at a prairie dog shooting event some years ago with deadly accurate results, and when relied on for its glass the results were again outstanding. When you get to this end of the spectrum there is little doubt that everything lines up very well in terms of quality for the price being paid. The price of Leica Geovid HD-R 2200 varies, so check the latest price at Amazon. Carl Zeiss is the product for a hunter scanning the mountain ridgeline for a sheep or goat to fill a once in a lifetime big game tag. 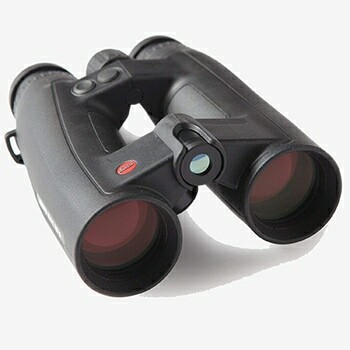 The systems are so good that almost nothing can over sell the value of these ranging binoculars. I have followed Zeiss optics for many years and used them countless times in commercial hunts and product testing events as well. Author ranging for the 1 mile shot. Today equipment is being upgraded for almost impossible ranges as applied to the grand game of long range shooting and even trophy class mountain style hunting. The bottom line here is never say never. 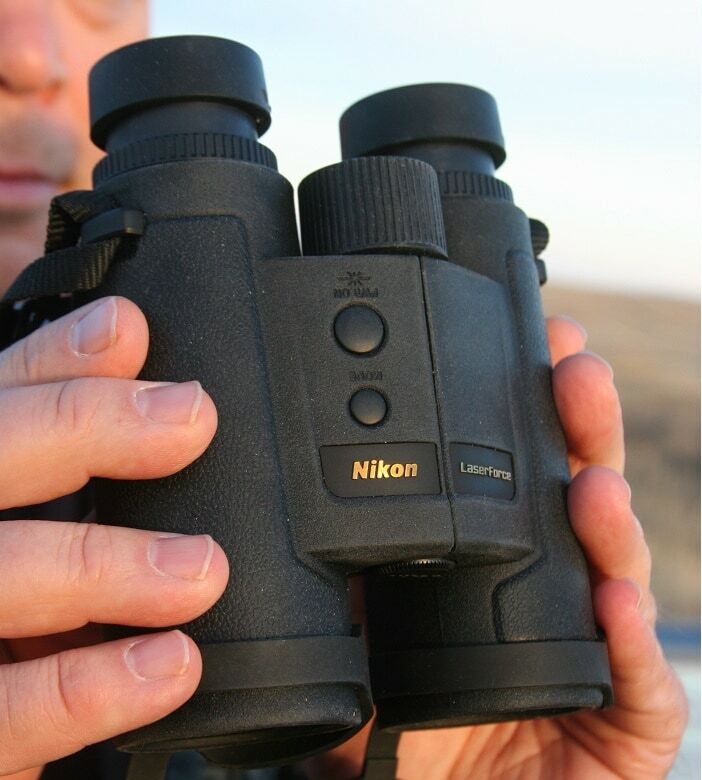 Laser ranging systems in this dual-purpose binoculars are among the best offered to sportsmen today. 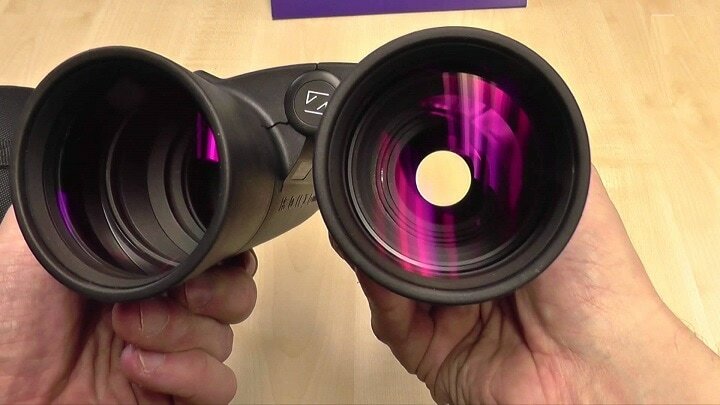 The surface area of the lens is treated and the optical glass is some of the best in the world. 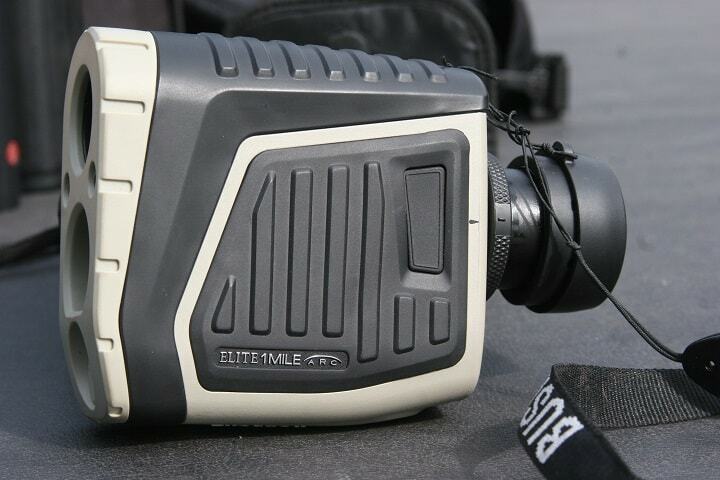 The laser ranging system is operational to 1,300 yards, and the unit carries a lifetime warranty. The on-board computer system factors the sighting distance and ballistic curve of the bullet all the way to the extreme end of the systems range and is spot on in terms of its ability to return solid data to the shooter. 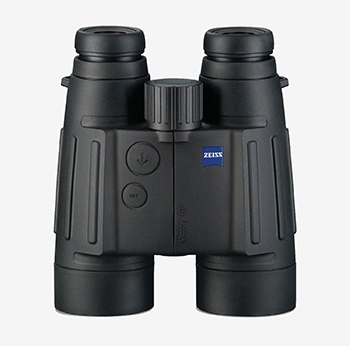 The price of Carl Zeiss Optical Victory varies, so check the latest price at Amazon. As a standard operating system I run the Nikon Laserforce system throughout the big game season, target ranging events during varmint hunts, and when shooting long range steel. This unit is by far one of the very best value binocular ranging systems offered on the market today to sportsmen and target shooters alike. This unit will range to 1,900 yards depending on the bounce back reflection against a large bright target, but I have found that I have been able to range well over 1,500 yards when siting cattle on a hill side, antelope grazing 1,000 yards off, and steel targets in bright orange (10 mile color) at 1 mile. 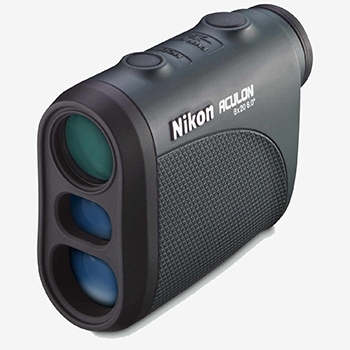 Nikon broke the mold on this unit and hang tight because more innovations are on the way in spotting systems, and rifle scopes. All this at a working man’s price tag to boot. The unit retains incline/decline technology, displays 1-yard increments to 100 yards for detailed sighting for zeroing, an OLED display with four step intensity adjustment, and low dispersion glass. 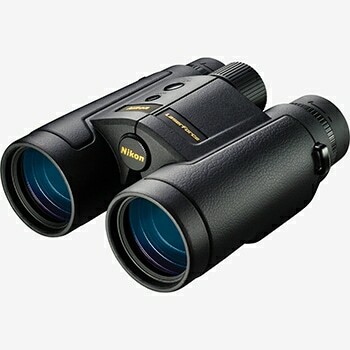 The price of Nikon LASERFORCE varies, so check the latest price at Amazon. Because Internet companies, such as Amazon, can house such massive amounts of inventory they are able to supply just about anything in in a department. Ranging equipment is far reaching in this case, and when moving to the more budget rate level in this gear there no end in sight. 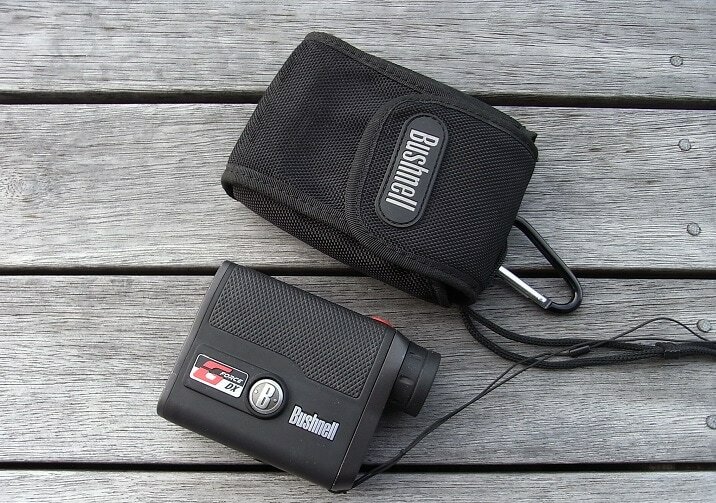 Small hand-held units by Bushnell are a great example of budget priced system that get the job done. This compact unit has a 6X magnification level, built in inclinometer (‘arc’ system) and a class 1 laser with 0.5 average power output. Range of operations 1–1,000 yards under correct conditions. I have used one of these units in events here in western South Dakota with serious good luck. I currently carry one with me in the pickup truck for quick varmint out of the window gunning situations (coyotes) and when packing rough country for deer etc. with my shots being within 400 yards in most cases. 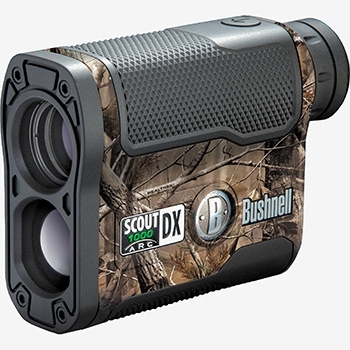 The price of Bushnell Scout DX 1000 ARC varies, so check the latest price at Amazon. 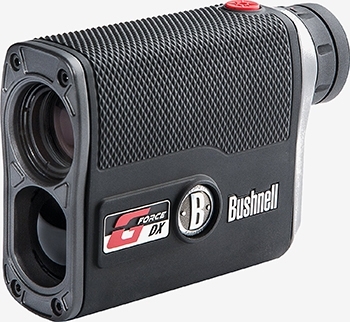 The Bushnell G-Force is an upper end hand held system. The unit can range to 1,300 yards, retain angle compensation 'ARC’ and has a class 1 laser. The unit retain a Bushnell ‘turbo’ processor system for very fast range returns in digital figures. The VDT technology produces very bright clean ranging figures, and is effective even in low light to 1,000+ yds. As a side note, I have two variations of this unit and have never had an issue with either of them. 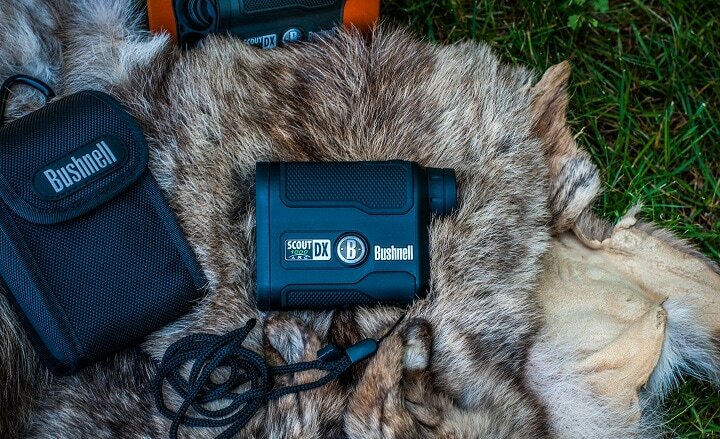 Bushnell was one of the very first systems offered on the American market and is still a solid provider of top notch ranging gear for the outdoor world. The development of the laser range finder is not new at all, but the advancement of these systems is a direct result of military operations the world over. Today the scout sniper and special operations shooters are a primary part of any combat unit. Here the range finder rules for the one shot stop on a bad guy down range. As sportsmen we gain from these efforts put forth by our military. 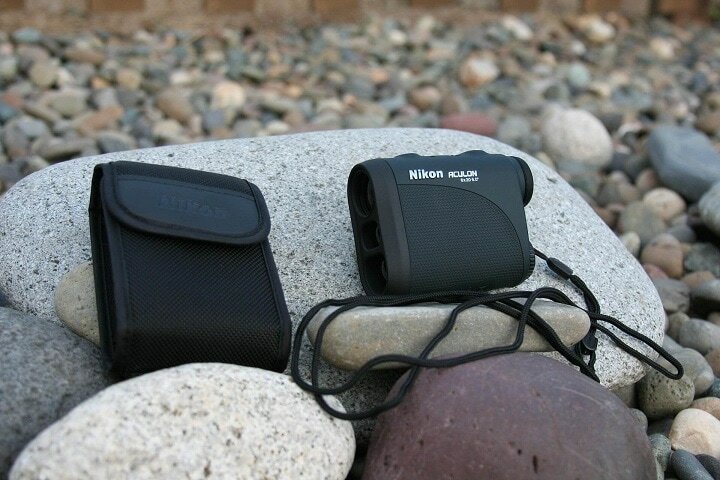 With measurements of 3.6X2.9X1.5 this unit is among the smallest range finders in use today. Using a very basic uncluttered viewing window this is a very user-friendly system as applied to some basic ranging requirements. Ranging distance 6–550 yards. In terms of most hunting, target, and even bow hunting situations this unit is more than enough. The price of Nikon Aculon AL 11 varies, so check the latest price at Amazon. 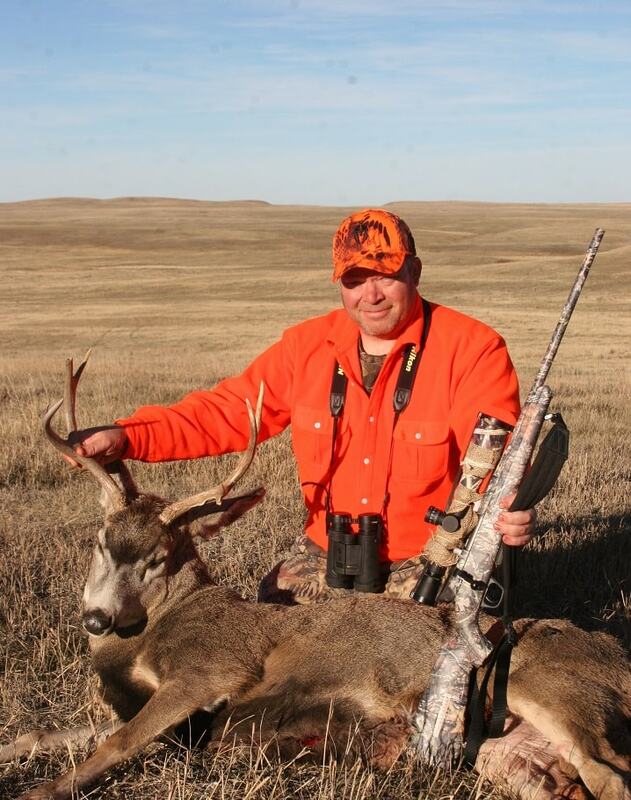 This Leupold unit is accurate to 1,300 yards, and as an ultra-light can be carried by anyone regardless of activity. Hunting in steep hill country where every single ounce counts this little system can save the day. This unit uses two Double A batteries. It has a ballistics compensating system and general dope measurement systems. It gives clear and fast ranging figures when locked onto running game, armor outer shell and waterproof. Simple system to use and based on current technology this is a great option for the occasional user of such gear. 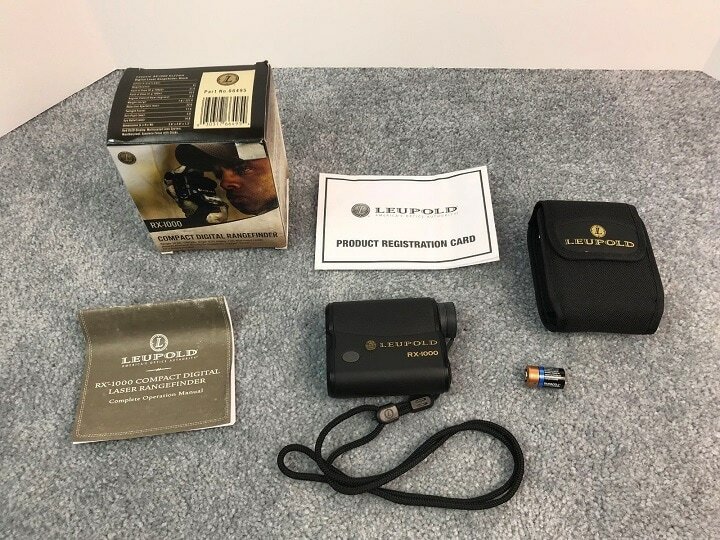 Leupold is a standard in my collection of field gear. Some of their rifle optics are so good for example that they are military only eligible. Same can be stated for ranging systems and related equipment. 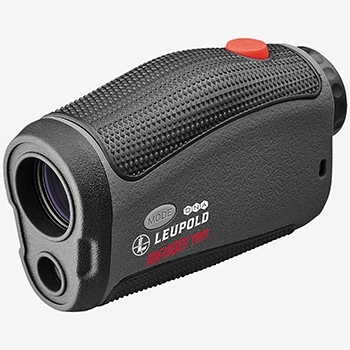 The price of Leupold RX-1300i varies, so check the latest price at Amazon. Authors group of field ready ranging system. One for every type of requirement down range. The small units for walking or packing into areas, and the large unit for ranging when selecting targets out on the mountain sides a mile off or more. 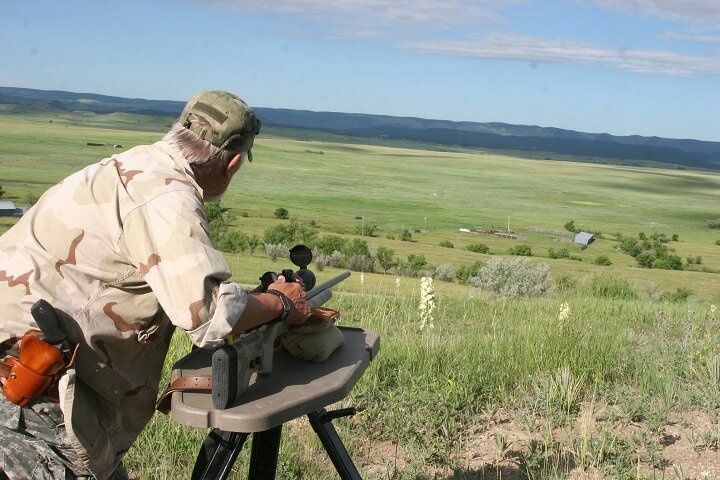 Like so many other products in this business of ranging, spotting, or scoping, you don’t need to spend the family inheritance on a unit, but simply shop for something that meets your needs. Check out my tutorial covering long range shooting gear that ties into my third rifle book on long-range shooting, which is also offered by HuntingMark. Side note to this review: According to a very recent email I have been informed that the US Military is releasing range equipment that up to now has been classified. 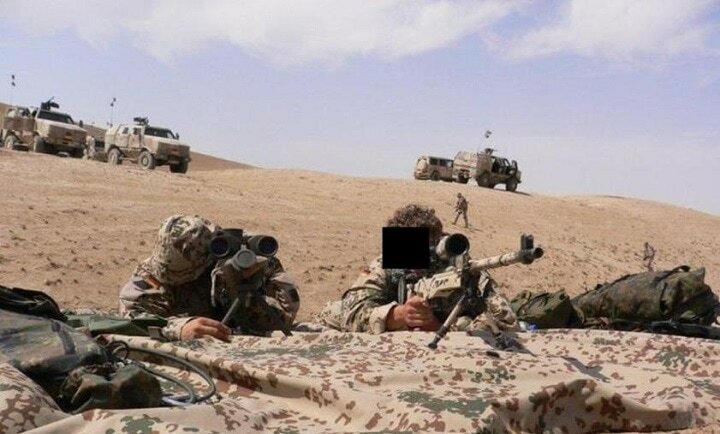 I have no names, but it seems to include the units that have a spotting scope and ranging ability all tied into one Sniper spotter teams type of gear (my guess is Leupold). Like other developments this could also change the game once again in terms of what is going to be offered the target shooter and hunter down the road.